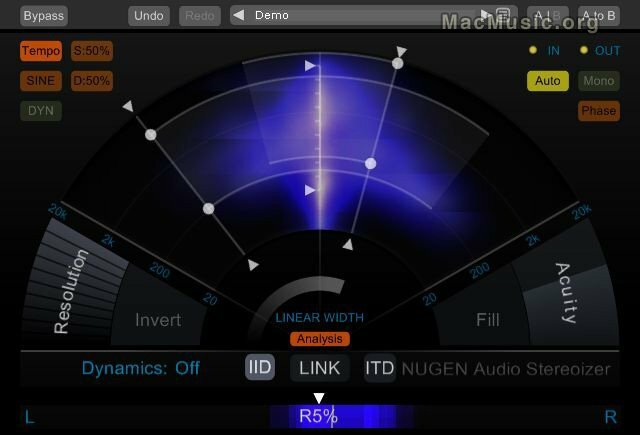 Developed for and tested by professional audio engineers, Stereoizer by NuGen Audio adds natural sounding width and depth to any audio recording, mono or stereo, leaving the inherent character of the original source intact. Quite simply Stereoizer will make your audio more coherent, highly polished and spatially balanced without adding artificial reverberation, chorusing or delay. Stereoizer allows for the full range of stereo image enhancement, from gentle width adjustments to huge dynamic ambiences that transform the soundstage. With visual audio analysis feedback and an intuitive control layout, Stereoizer delivers a satisfying user experience and the right result with the minimum of effort. Stereoizer v3.0 is available now for Windows (VST) and Mac OS X (VST/AU) for $99.